Cecy and Tee of That's IT! 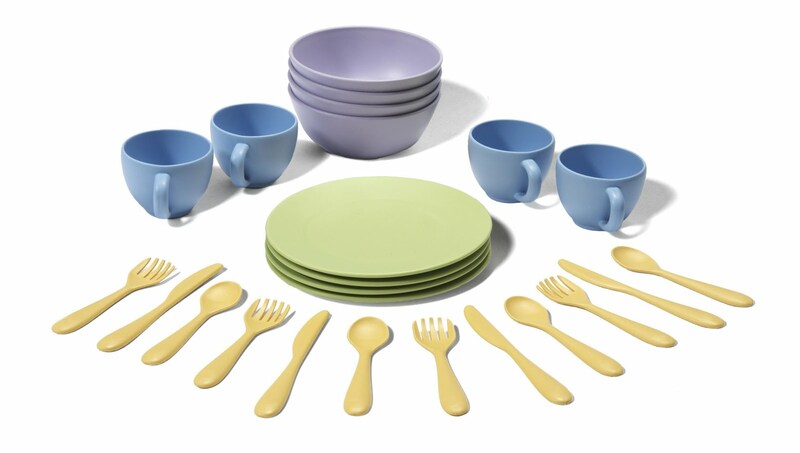 Mommy is giving away this dish set from Green Toys. The set comes with 4 plates, cups, bowls, forks, knives, and spoons. I personally would love to win this because, by some strange stroke of luck, my children ended up with a second toy kitchen. So now they have one in the family room and one in their bedroom. It would be wonderful to have an extra set of dishes so they will not need to split up the set that they have currently. This giveaway is open to U.S. residents only and will be ending on September 23rd, 2010.